During a recent family event, we were catching up with my husband’s side of the family. There was so much to talk about! Conversations were flowing about our families, jobs, the high cost of living, and of course politics. Obviously, this being an election year, my husband’s cousin shares with us that during the last election, his daughter came home one day, and blurts out, “I don’t know what the big deal is with Obama winning the presidency!” This coming from his 17 yr. old daughter who is Black. Of course, he was in shock! Heck, I was in shock when I heard what he just said! Had she not realized that he was the 1st Black man to become president and that this was a historic event! Is this what happens when you raise your child oblivious to his/her heritage? However, in order to better understand her statement, we need to look into her own background, and where she was raised. Her parents are Black from the South, who moved to Chicago when she was a young child. They live in the upper scale suburbs, and she went to a predominantly all White school. So the question here is, had she been raised in a predominantly Black community would her outcome on Barack Obama winning the presidency had been different? How about her parent’s involvement in teaching her about her own heritage? I’ve started by creating a heritage board for our son. This board helps him understand visually where he comes from. As the sole Spanish speaking parent at home, I strive to talk to him in Spanish. Though I do confess it’s a daily struggle, and I’ve faced many challenges that I shared before in a previous post. 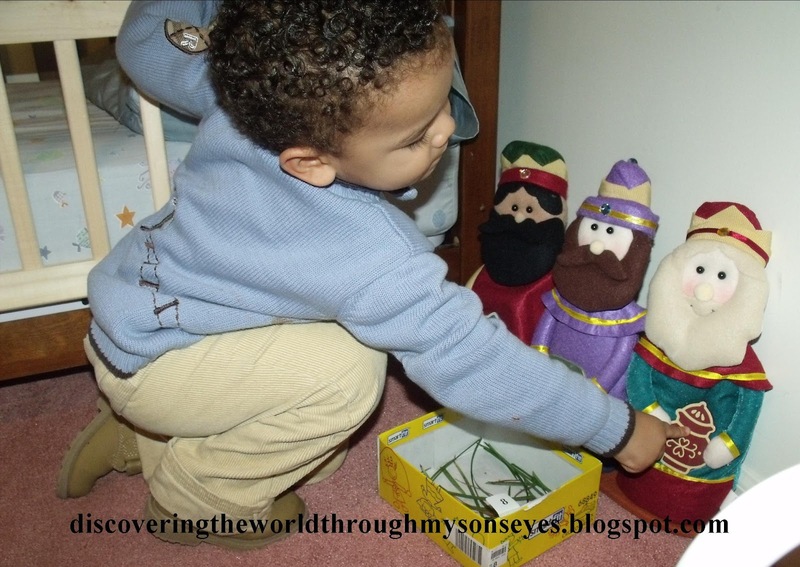 Being the multicultural familia that we are, we celebrate El Día de Los Tres Reyes Magos. We have a super long holiday in our home. 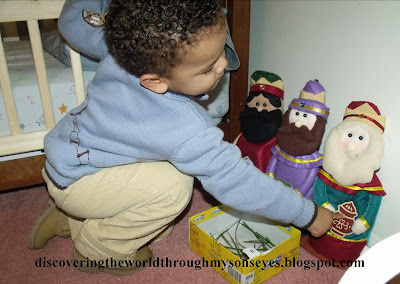 Kicking off with Thanksgiving during November all the way through January 6 when we celebrate Three Kings Day! Fostering his relationship with his extended family, and creating new memories has been easy since we travel to Puerto Rico every other year, and the year that we don’t travel we always have his Abuela or his Titi Gladys with the familia come over to visit. He knows who are his extended family, including the ones that do not live in Puerto Rico. Our relatives living in the states have come to visit us, or we have gone to visit them. His extended family is very much “present” in his life, throughout the year they send him letters, and/or packages to keep in touch with him. (We have used video chat, but not as often as we should). Although, a little hard (because of the difficulty of finding the ingredients locally) is introducing little one to Latin cooking. He loves soul food but is having a hard time assimilating his palate to Latin cuisine. 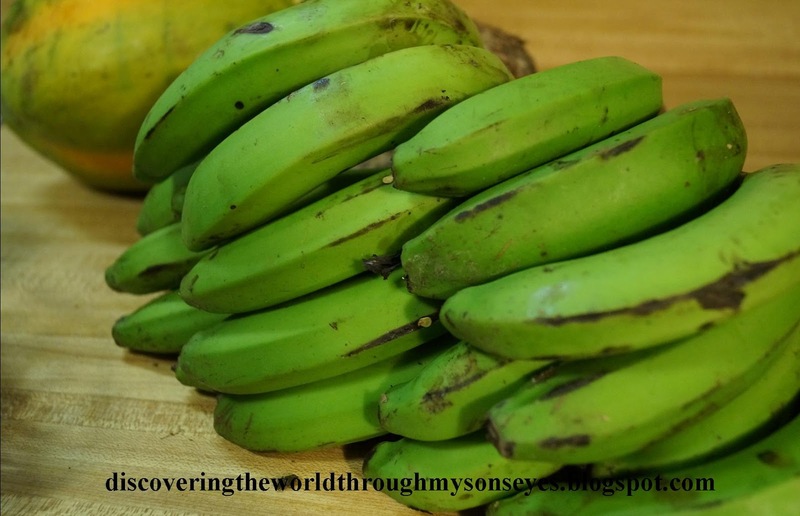 It’s a treat when we receive from Puerto Rico: guineos verdes (green bananas), papaya (tropical fruit), gandules (pigeon peas) and/or ajies dulces (sweet peppers) so we can whip up a Latin dish. 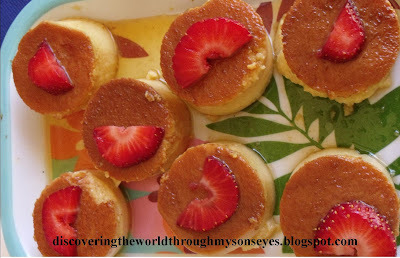 I often make a delish flan which is now our “go” to dessert for parties, and gatherings. Ajíes dulces from Puerto Rico delivered home via US Mail. Guineos verdes from Puerto Rico delivered home via US Mail. 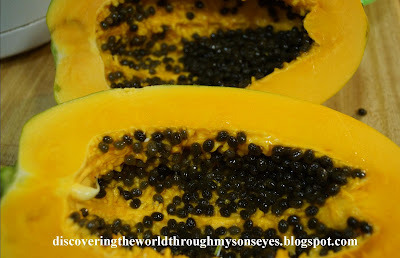 Lechosa (Papaya) Tropical fruit from Puerto Rico delivered home via US Mail. Reading to him bilingual or Spanish books is a fun way to learn about his heritage. 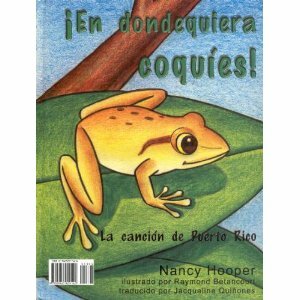 Little one loves the book about the Coquíes, On this Beautiful Island, Atariba & Niguayona: A Story from the Taino People of Puerto Rico, Mi isla y yo/My Island and I: La naturaleza de Puerto Rico/The Nature of Puerto Rico, and most importantly books celebrating diversity, and multiculturalism. One of little one’s favorite books. How do you teach your children about their heritage? Would love to know! Please share, like and/or comment. ¡Gracias! I love your heritage board! What an amazing job you are doing. Papaya is just coming into season here so I'll eat some extra for you and your son! It sounds like you are providing wonderful ways for your son to learn about the various cultures he is a part of. Hahahahahaha ahhhhhhhhhhh You made me laugh out loud!!! 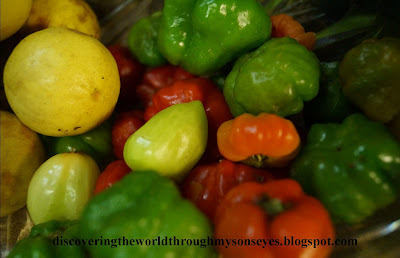 I would love, love to have some papaya trees here! Now every you eat some definitely think of us! LOLOLOL Thank you for your comment! OMG Frances!! I loved your heritage board! You are doing a great job. I know sometimes it seems like the less dominant culture is always at a loss. But, two thumbs up to you!! You are making a wonderful effort. I know he will remember all those books, flavors and pictures on the bord. This is wonderful- we try to include everything you mentioned, except we've never done a heritage board! I love that idea!!!! 🙂 In our family I am from the US, my husband is from Mexico City, we have 2 bio daughters, one son from China and one from Ethiopia- we are constantly trying to incorporate culture into everything we do:). Thanks Becky! Wow, you would need a map of the world to make a heritage board for your children! 🙂 It would be a fun project to do with them. You offer many great ways to teach your son about his heritage. We could do a better job of this with our boys. Thanks for sharing.